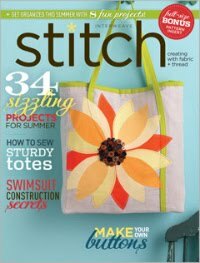 Back in November I participated in Pattern Review's Surprise Sewing Bee. I didn't make it past the second round (ah well) but I got a lot out of the projects I completed. The first one was my hardware a-line skirt, blogged about here. In the second challenge, we had to take 1-5 men's button-down shirts and refashion them into a garment for an adult. You can see all the projects here - very inspiring! I used this challenge to motivate myself to finish three goals. The first was to finally finish fitting my bodice muslin from Vogue 1004 fitting pattern. CHECK! The second was to create a basic pattern for one of my favorite RTW blouses that I've worn and loved for at least 10 years. CHECK! And the third was to do something with the men's shirt I took out of the Goodwill bag two years ago (it was too pretty to donate). CHECK! My inspiration blouse was one I purchased at Anthropologie at least 10 years ago, probably on sale. So it's now well worth whatever money I paid for it as it has had plenty of wear and is now a pattern. I improved the original fit by lowering the waist band to sit at my natural waist (approx 1" lower than the original). I didn't do pintucks for the PR garment because it would have looked funny with the stripes. on the fold - this helped me maneuver around the button placket. The original bodice has bust and waist darts in front and back darts; I rotated the waist dart and incorporated it into the front yoke and incorporated the shoulder darts into the back yoke. In order to get the most out of the button placket, I reduced the seam allowance to 3/8". I wanted to give the look of a flat fell seam at the yokes, so I serged the raw edges and added topstitching. I finished the neck and arm openings with single fold bias tape turned to the inside and topstitched (again, to give the flavor of topstitched flat fell seams). I added some gathering to the front bodice (at the yoke seam) in order to keep the top fitted and to make it more feminine. I also mirrored the bodice gathering in the front and back peplum. I finished the raw edges of the waistband with bias strips and stitched it on top of the bodice at the waist seam, folding under the short ends at the button placket. Not seen in these photos is that I added another button just above the waistband. While I got knocked out of the round, I'm really happy with the top. I won't be able to wear it much until Spring, but I'm glad to know it's there waiting for me! Clockwise: Back, Front, ancient bias tape, leftovers, waistband detail. I've got a long overdue wedding dress refashion up next. Thanks for stopping by! 9 comments on "Refashion: Men's Button Down Shirt to Women's Fitted Blouse"
Oooh, that's really neat! And it's great that not only do you have a refashion, but you have a pattern that you could use to make one from scratch! This is a great little summer top. Thanks, Gail. The pattern really is the best part! Nice! That stripe was definitely worth saving. I like the shape of the blouse, too. Thanks, Liza Jane. I'm pretty sure I was the one who gave him this shirt - guess it was always my taste more than his! Great job on the remake! ohhh I love this, the fit is perfect, and that makes all those stripes look so fantastic. Thank you! I'm hoping that spring will eventually get here so that I can actually wear it!